We hear people talking all the time about storing renewable energy. You know the deal – clean energy will never be viable until we can make it storable for those times when production is low due to inclement weather. Well, one company in California, SolarCity, was just awarded $1.8 million by the California Public Utilities Commission to research storing residential solar energy in Tesla Motors’ car batteries. The owner of SolarCity, Pete Rive, already has a system rigged up in his garage that he says is working like a charm. 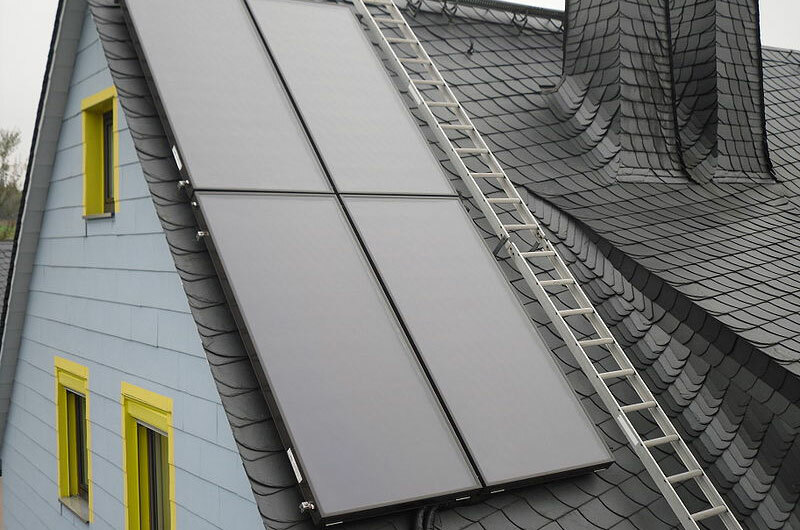 Rive’s system consists of a 3 kilowatt solar array on the roof of his San Francisco home and a Tesla Motors lithium-ion battery pack in his garage that connects the array to the grid. When the sun goes down — or doesn’t come out — the battery has already stored up excess solar energy to either feed to his home or to the grid, if his home is at capacity. Rive will be teaming up with Tesla and the University of California to study how to integrate off the shelf batteries into residential solar arrays. “We think in the years ahead this will be the default way that solar is installed,” Rive told the New York Times. “Getting the costs down, though, is not going to be an easy task.” Currently lithim-ion batteries are pretty pricey and until those costs go down this program might not be financially viable. However, the team will be outfitting 6 homes courtesy of the cash they’ve just received to research whether this is a feasible route for home energy storage. The $1.8 million is just a small share of $14.6 million grant that the California government shelled out for companies to study solar energy storage. What a magnificent sight to see one of the very first power stations for cars. 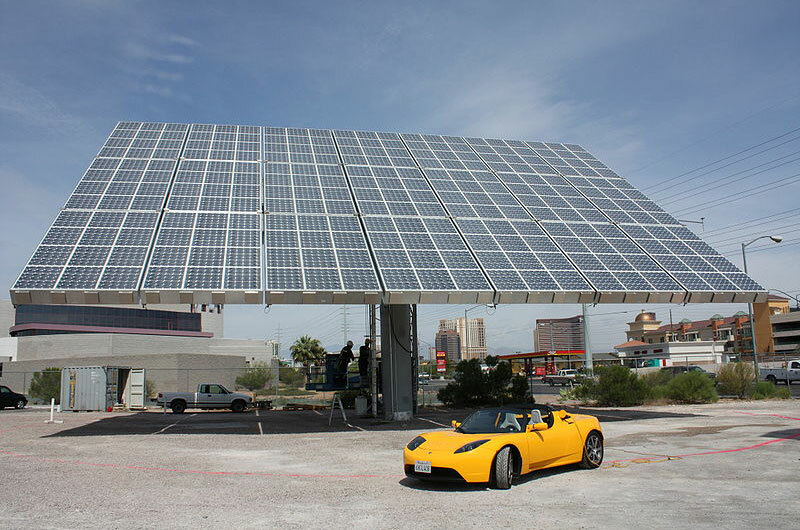 It is awe inspiring to grasp the concept of solar power stations replacing gas stations. We remain optimistic of a higher universal aspiration of mankind being achieved. 100 years of oil as being the primary power source being used needs to change. We have had brilliant innovations by Tesla and others being shelved or hidden away. A few should not benefit over the whole. It's great that some one getting money by storing renewable energy. It decreases dependency on power grid, coal and crude oil. Solar energy will never be viable until we can make it storable for those times when production is low due to inclement weather. We hear people talking all the time about storing renewable energy. You know the deal - clean energy will never be viable until we can make it storable for those times when production is low due to inclement weather. Well, one company in California, SolarCity, was just awarded $1.8 million by the California Public Utilities Commission to research storing residential solar energy in Tesla Motors' car batteries. The owner of SolarCity, Pete Rive, already has a system rigged up in his garage that he says is working like a charm.